Lightened solid flywheel (to be used with clutch 1750MCTCH). 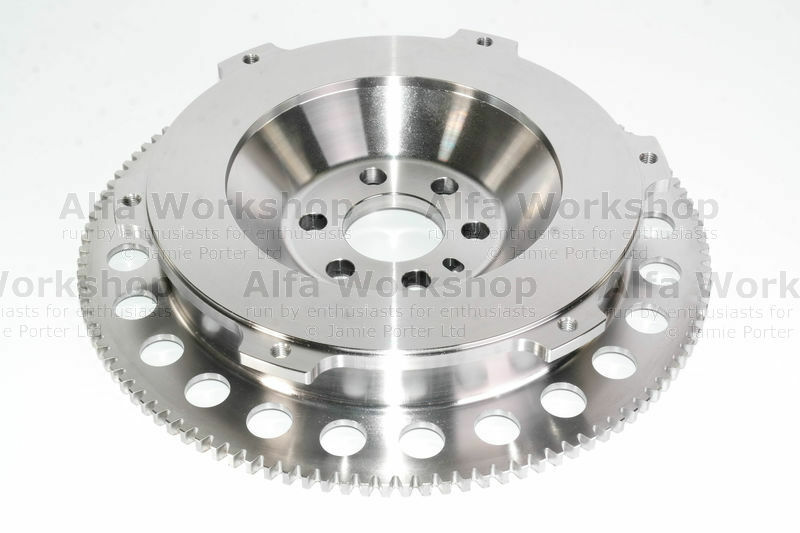 NOT for TCT gearbox..
Lightened clutch kit for manual gearbox (to be used with flywheel 1750MFLYW) x6 bolts included. Will take over 750 nm so will be able to take the power output of even the most powerful 2.0l conversion. ..
We hope that you enjoy looking through our site which is designed to help you as much as possible with your Alfa Romeo ownership, beyond the information about us and what we offer, we hope we have built the site into what has become the primary Alfa Romeo resource on the web. 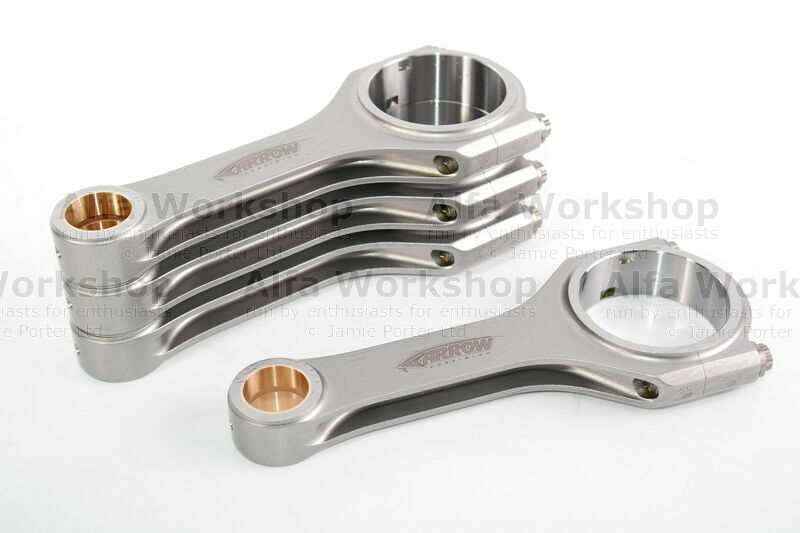 We aim to provide you with technical articles, help with maintenance and parts and much, much more. We will be adding a couple of new articles every month, so bookmark us or sign up to our newsletter and we will always have something new for you on your return. 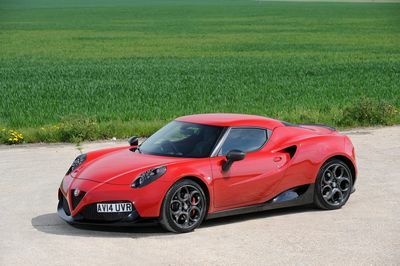 The Alfa Workshop has organised this site so it is easy to navigate and we have plenty of free services, advice and information available, please use our free car sales service which compliments our existing buyers guides. 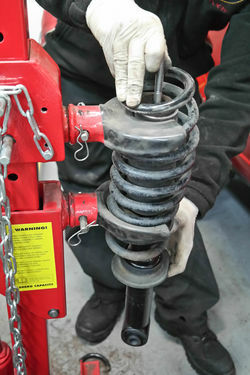 While our diagnostic guides and forecourt information should be able to help out with some of those day to day maintenance issues, while our parts department should be able to provide you with the appropriate parts you need. If you find our content of particular value, please spread the word by posting links to those pages directly, or our site generally, where appropriate. In order to access your personal area of our web site, click on the "selling your car for free" banner on the left hand side of this screen and follow the instructions on the next page. As of 13/11/2006 the official service interval on cambelts on 1.6l, 1.8l, 2.0l Twin Spark engines and 2.0l JTS engines in all models has been reduced to 36,000 miles or 3 years, whichever is sooner. 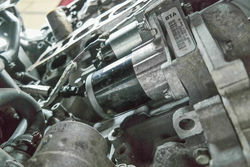 09/04/19 Brera 3.2 JTS starter motor removal To replace the starter motor on an Alfa Brera/159 3.2 JTS the front bank exhaust manifold needs to be removed. 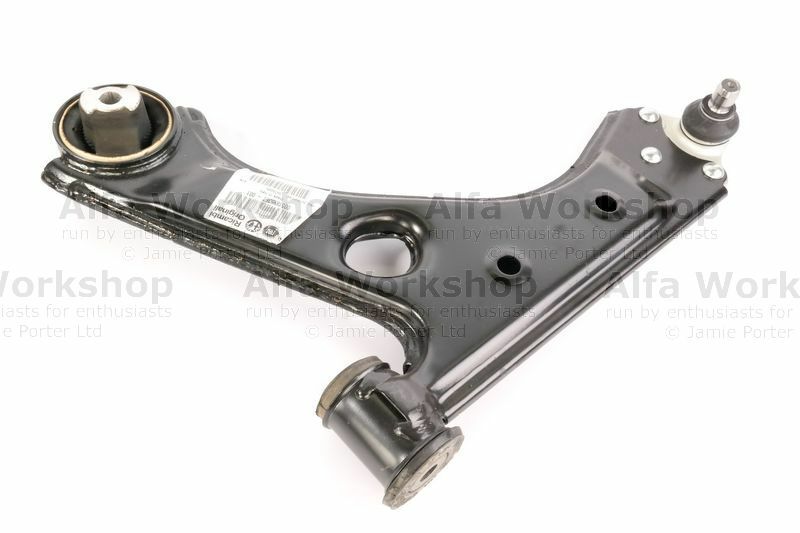 11/03/19 159/Brera track rod replacement If the track rod needs replacing on an Alfa 159/Brera/Brera Spider then you will probably find that the track rod end is seized to it and will also need replacing. 14/01/19 Brera drivers window switch replacement. Replacing the drivers window switch console on an Alfa Brera/Spider is quite simple after removing the two 5mm allen key bolts. 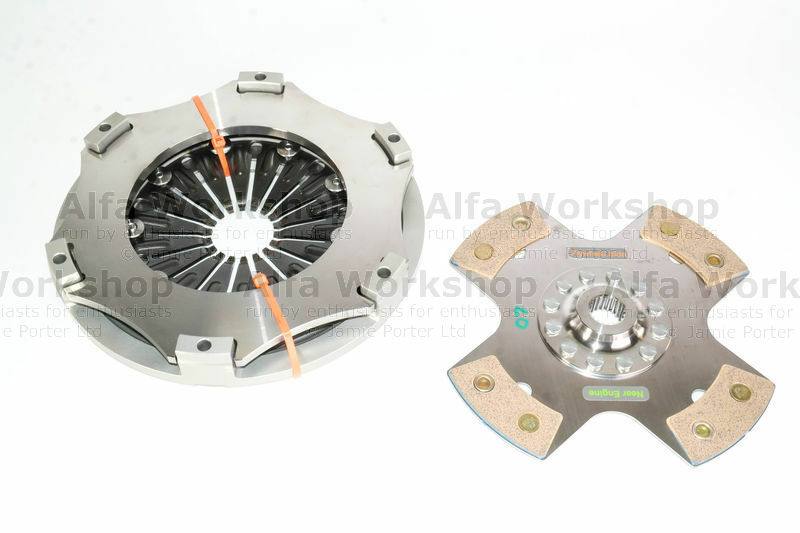 21/12/18 159 1.9 JTDM alternator replacement When replacing the alternator on an Alfa 159 1.9 JTDM, remember to disconnect the battery first. 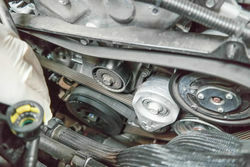 12/12/18 159 Sportwagon rear shock replacement To replace the rear shock absorbers on an Alfa 159 Sportwagon, the top securing nut is located underneath the interior wheel arch covering either side of the rear seats. 30/11/18 Giulia auxiliary belt removal To replace the auxiliary belt on an Alfa Giulia 2.0 (from 2016) you will need to remove the turbo air intake pipe and undertray. 12/11/18 MiTo boot wiring loom replacement. 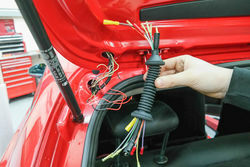 On an Alfa MiTo the boot wiring loom is a little too short so the wires tend to break from everyday opening and closing. 17/10/18 4C stage 2 ECU fitment Replacing your standard 4C ECU with an AlfaWorks bespoke Stage 2 tuned ECU.